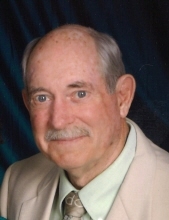 Ronald Hampton “Ron” White 75, widow of Margaret Ethel (Via) White, of Staunton, passed away on Thursday, November 29, 2018 at his residence. Mr. White was born in Staunton, on May 19, 1943 son of the late Wade Hampton and Ruth F. (Mynes) White. Ron was a member of the Middle River High School Class of 1961 and a member of New Hope United Methodist Church. He retired from DuPont after 40 years of service. Ronnie’s greatest joy in life was time spent with his loving wife, Ethel, and their family. He really took great pleasure in sharing his love of the outdoors with others, especially hunting and fishing. He particularly delighted in extending his knowledge and understanding of God’s wonders in nature to others, both of his own children and grandchildren, as well as countless friends, young and old. In addition to his parents and wife of 51 years, Ron was preceded in death by a brother in law, Jerry Meeks; and grandparents, Roy Lynn White, Sr., Mary Virginia Cox, George Homer Mynes, and Grace Hannah Reese. Ron is survived by his children, Brandon William White and wife Rebecca of Middlebrook, and Dawn Leigh White of Churchville; brother, George Lynn White and wife, Martha of Albemarle, North Carolina; a sister, Gayle L. Meeks of Verona; grandsons, Wyatt Christian and Hunter Blair White; and two nieces. Per Ron’s request, there will be no service. It is suggested those desiring make memorial contributions to the New Hope United Methodist Church, 55 Round Hill School Road, Fort Defiance, Virginia 24437. To send flowers or a remembrance gift to the family of Ronald "Ron" Hampton White, please visit our Tribute Store. At Ron's request, there will be no services. "Email Address" would like to share the life celebration of Ronald "Ron" Hampton White. Click on the "link" to go to share a favorite memory or leave a condolence message for the family.